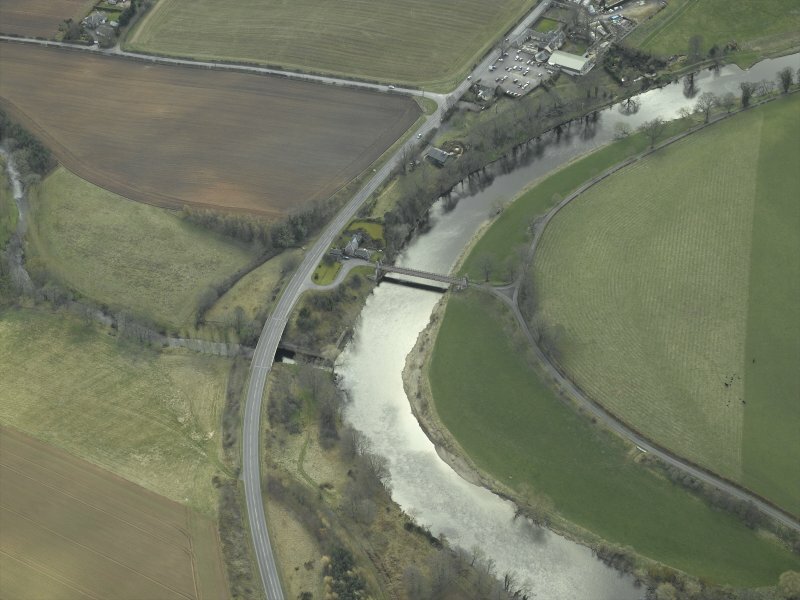 Oblique aerial view centred on the suspension bridge, farmhouse, farmsteading, cottage and road bridge, taken from the NW. 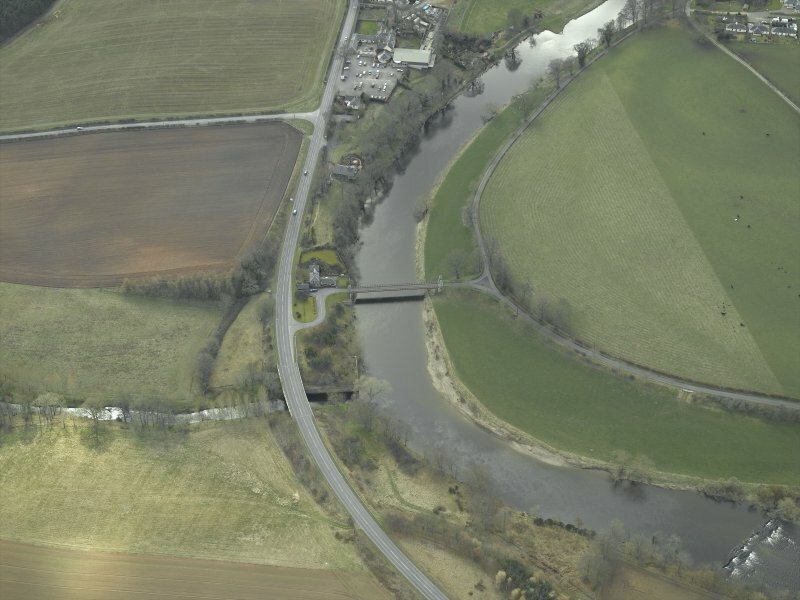 Oblique aerial view centred on the suspension bridge, farmhouse, farmsteading, cottage and road bridge, taken from the NE. 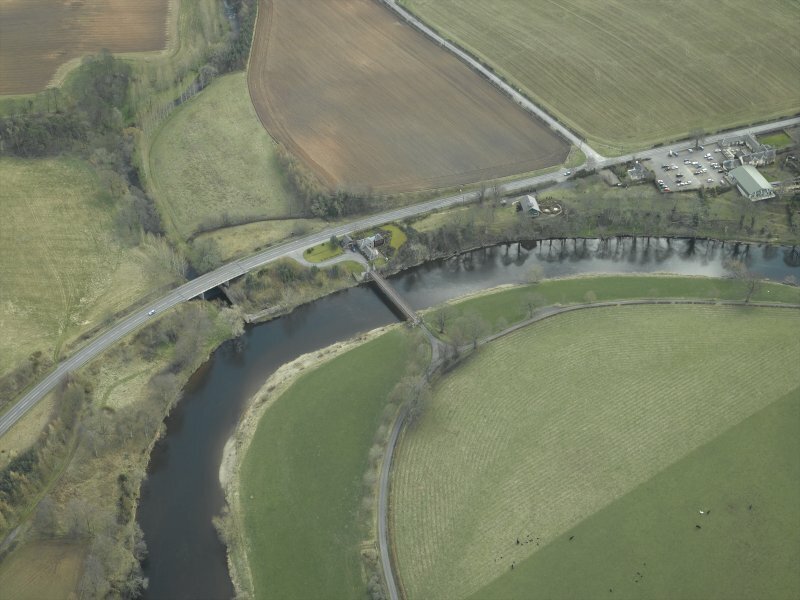 Oblique aerial view centred on the suspension bridge, farmhouse, farmsteading, cottage and road bridge, taken from the N.
Not to be confused with Kalemouth Suspension Bridge (over River Teviot, at NT 70842 27453), for which see NT72NW 38. This bridge carries the A698 public road over the Kale Water immediately above its entry into the River Teviot. Information from RCAHMS (RJCM), 31 January 2006.